JERUSALEM (JTA)—The Jewish month that began two weeks ago, Cheshvan, has traditionally been dubbed “mar,” or bitter, because it alone among the months is devoid of any holidays. It is time for the Jewish people, and the Jewish calendar, to drop mar from Cheshvan, since it is blessed with one of the most remarkable and sweetest Jewish holidays: Sigd. At the end of Cheshvan for well over a thousand years, the Jewish community of Ethiopia would dress in white, climb Mount Ambover in Gondar and pray for their redemption and aliyah to Jerusalem. The miraculous airlifts and rescue of Ethiopian Jewry, and the subsequent aliyah of tens of thousands more, stands as one of the proudest moments in Jewish history and a shining example of what Jewish peoplehood can accomplish against great odds. Now the Ethiopian community celebrates Sigd en masse on the Haas Promenade, overlooking the Old City, with prayer, music and speeches. Israeli schools are starting to celebrate Sigd, as should Jewish schools worldwide. Africa has gifted to the Jewish people sweetness and hope on Cheshvan, which is also Jewish Social Action Month, when we turn outward as a community. I have accompanied Prime Minister Benjamin Netanyahu and other Israeli leaders to Africa over the past several years, promoting not only a solar-powered vision for the continent but an enlightened Israeli policy of becoming a superpower of goodness. Israeli water, agricultural, medical and green energy technology and investments can play a transformative role by uplifting the dignity of hundreds of millions of people. And with a quarter of the votes in the U.N. General Assembly belonging to Africa, as well as two swing votes on the Security Council, there are diplomatic benefits to Israel as well. 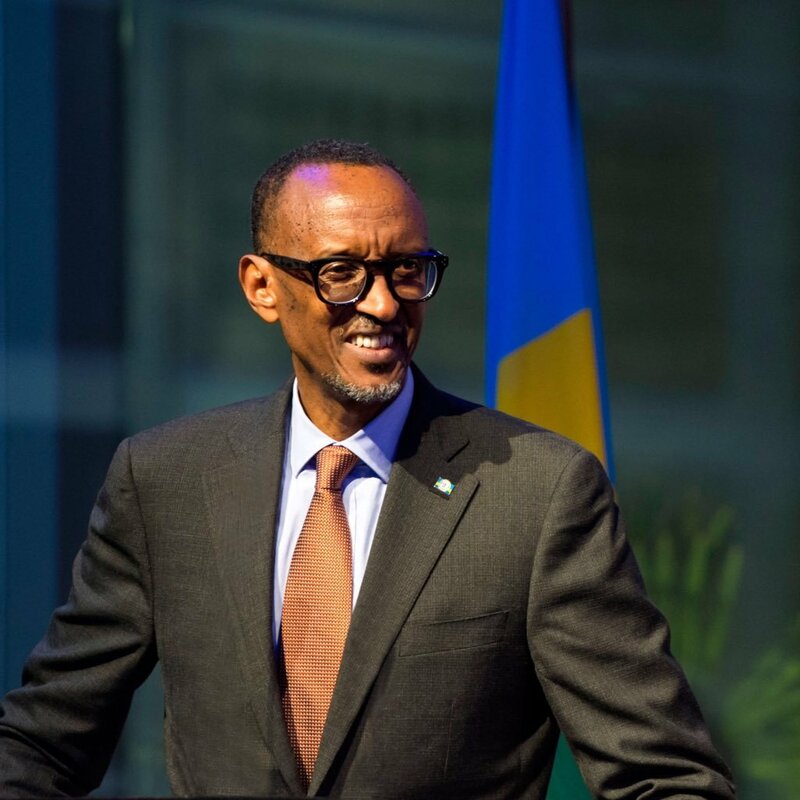 It is no wonder that AIPAC, the pro-Israel lobby, had for the first time an African head of state—President Paul Kagame of Rwanda—address 15,000 activists at its annual policy conference earlier this year. And the African Institute of the American Jewish Committee has not only lobbied African ambassadors to the United Nations, but also has been sponsoring them on transformative fact-finding missions to Israel. The push into Africa has deep roots in the Zionist narrative. In Theodor Herzl’s day, Africa was ruled and exploited by European empires. When Netanyahu declares that “Israel is coming back to Africa,” he is channeling Golda. And when he says that “Africa is coming back to Israel,” he’s channeling Ethiopian Emperor Haile Selassie, the “Lion of Judah,” who claimed King Solomon as an ancestor. The challenges facing Africa, and the potential for African-Israeli partnerships to address them, are staggering. There are 600 million Africans without access to electricity and 300 million without access to clean water. A famine sweeping East Africa affects 16 million people, including the hungry 2,000-member Abayudaya Jewish community in eastern Uganda. At the same time, Africa boasts 11 out of the 20 fastest-growing economies on the planet, according to the World Bank, and its billion-plus population will double by 2050. For this economic and humanitarian potential to be unleashed, at least two obstacles have to be overcome—one-self-inflicted, the other political. The self-inflicted thorn in the side of Israeli-African relations has been the treatment of African asylum seekers in Israel. The Israeli High Court has consistently ruled against the government’s treatment of the 46,000 people considered “infiltrators,” as if those fleeing Eritrea and Sudan—both cruel dictatorships—are simply economic refugees. A new strategy is needed: turning over to Mashav the Holot Detention Center to train Africans in the latest Israeli water, agricultural and green energy technologies. Those who would graduate and leave voluntarily could be emissaries from Israel on how to transform Africa, and they would have the skills to begin their lives anew and prosper. Plenty of African countries would line up to woo these newly skilled Africans if they brought the blessing of Israeli know-how, technology and investments with them. Mostly political threats led to the postponement of an Africa Israel Summit with African heads of state and Israeli leaders that was supposed to take place in Lome, Togo, at the end of October. The postponement was due to a toxic combination of political unrest in the West African state, a concerted effort by South Africa and Morocco to undermine it, and the mounting political and legal challenges that the Israeli prime minister faces at home. Even so, the pace of African-Israel engagement on many levels continues to increase, especially with Christian heads of state. The best answer to the diplomatic pressure that caused the postponement of the Africa Israel Summit would be for Netanyahu to appoint Knesset member Avraham Neguise as Israel’s foreign minister Dr. Neguise, a Likud member, is the only Ethiopian member of the 20th Knesset and was seated strategically next to Sara Netanyahu when her husband wowed the Ethiopian parliament last year. Netanyahu currently holds the foreign minister portfolio. Sixty years after Golda Meir’s historic mission to Africa, it is time for Israel to have an African foreign minister. This will be met joyfully by world Jewry and the world at large, sealing Cheshvan’s transformed sweet status and elevating the Israeli-African story into our mainstream consciousness. Yosef I. Abramowitz serves as CEO of Energiya Global Capital, a Jerusalem-based impact investment platform, and is a founding partner of the U.S. Power Africa program. He is co-author with Sharon Udasin of the forthcoming “Shine on! A Solar Superhero’s Journey to Save the World.” Follow Abramowitz @KaptainSunshine.